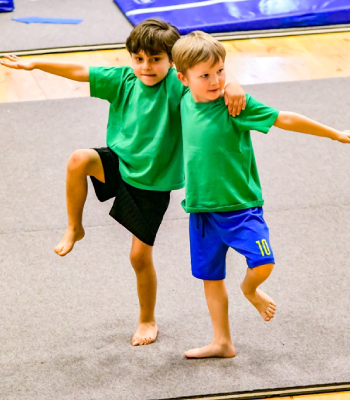 Classes for our general gymnastics, our squad and elite acrobatic gymnasts run throughout the week and during the weekends, for all levels of ability and age groups. For more information about our class dates, times and location for recreational gymnastics, please click on the ‘General Gymnastics’ tab. Or for information on our ‘Squad Classes’ please click on the ‘Squad Gymnastics’ tab. We offer a free taster session to all children who may be interested in joining our recreational gymnastics classes. To book a taster session please click on the link below. fill out the form and a member of the team will contact you. If you are an experienced gymnasts who is interested in coming along for a trial with the prospect of joining one of our squads please go the ‘Taster & Trials’ tab. To book a free taster session for any of our recreational classes please click on the ‘BOOK A TASTER SESSION’ – to submit an online request. If your child is currently already an experienced gymnast and you would like to be considered for a squad trial please click here or go to the ‘Contacts’ section on the menu bar at the top of this page.